Our place of work is where we spend a good part of our time and must be as comfortable as possible. 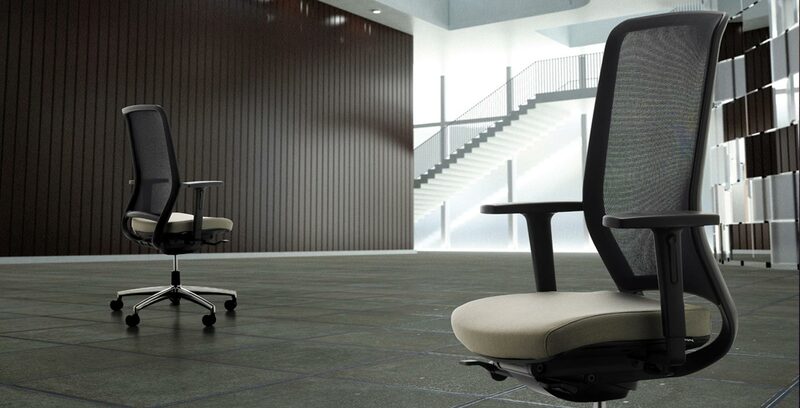 Office furniture and in particular office chairs play a vital role in ensuring a pleasant ambience in the workplace, thanks to the ergonomic, elegant and comfortable designs that are replacing the concept of functionality that existed previously. Although the human body is designed specifically for activity, a seated posture seems to be more our main body position. And not just when we are at work either – this applies whether we are eating, sitting in the car or even in our leisure activities. 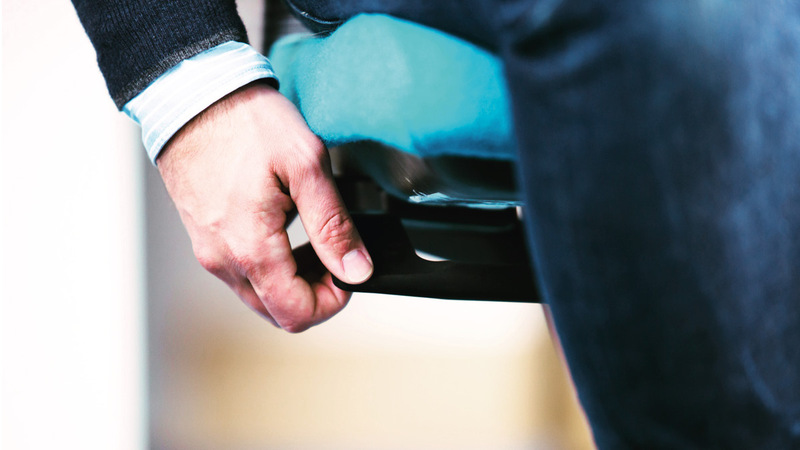 More than 10 million people in the UK carry out their activities in a seated position which could be around 70,000 hours during their working life. Changes in the working environment, together with ever-increasing technology in the office is creating new risks to health. The muscular activity, which is so essential for our health and well-being, is disappearing rapidly from our daily life. Lack of physical movement is one of the causes of many illnesses. 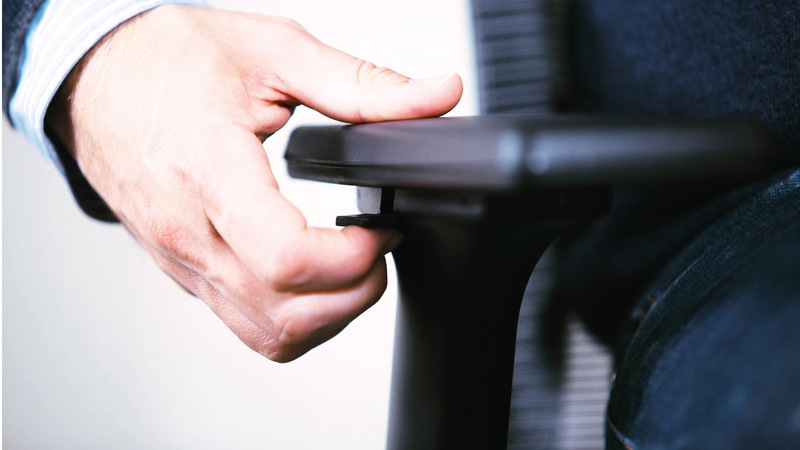 The design of office seating has therefore had to change from simply providing comfortable chairs of various sizes, to the provision of a sophisticated tool that will provide dynamic posture support in the many different tasks now required to be undertaken at the workstation. Seating is significantly important, ergonomically, because of the physical contact that individuals have directly with seating. 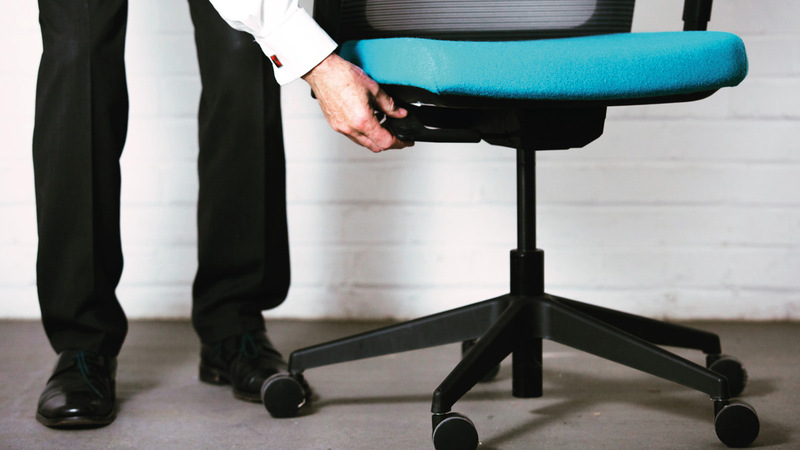 Chairs can also have a significant psychological or emotional impact on employees. The choice of chair can also indicate status, the employer’s willingness to invest in the employee, in the employee’s welfare or the company’s image. In a standing position the human spine adopts an ‘S’ shape curve, and may be divided into three main regions; The cervical curve (neck) has seven small vertebrae, which have good movement, but are not designed to transmit large amounts of weight or force. The thoracic curve carries an intermediate amount of weight or force and is a relatively inflexible part of the spine. Its mobility is affected by the rib cage, to which it is attached. The lumbar spine is built for strength and designed to absorb forces, transmit weight and is quite mobile in forward and back bending. The S-shape of our spine enables it to maintain a stable equilibrium, whether walking, standing or sitting. The flexibility of the spinal column is achieved by the vertebral joints and the discs or cartilages which lie between the individual vertebrae. The lumbar region is of particular importance, where optimum support must be provided by the backrest so that the spinal column can maintain its natural S-shape regardless of seating posture. In conclusion, if we can maintain the lazy ‘S’ curve which is present in the standing position, when sitting, the additional strain on the intervertebral discs caused by the act of sitting, will be limited.